Marine naturalist, scuba diver, and award-winning wildlife filmmaker, Adam Ravetch has been involved in a myriad of projects that has taken him to the far corners of the earth. Dedicated to creative filmmaking, he strives to bring to the screen the unforgettable details of animals’ lives and their relationship to mankind. In his pursuit of the ultimate photographic challenge, Ravetch journeyed north, and became one of a handful of filmmakers to shoot beneath the Arctic ice cap. Even more unusual is his perseverance in the north with two decades of experience working in the brutal, polar environment. The unforgiving Arctic has rewarded Ravetch with some of his most fantastic cinematic images & spectacular films. In 2011, partnering with Arcadia Entertainment Inc, and Parthenon Entertainment Ltd, Adam Ravetch completed principal photography on the polar bear 3D film, Ice Bear, to release in 2012 on CBC Nature of Things, National Geographic Wilds, Sky TV in the UK and Universal on 3D Blue Ray. In 2007, Adam made his theatrical screen debut and released the epic feature film, Arctic Tale, produced with National Geographic, distributed by Paramount Studios and narrated by Queen Latifah. The film represents over a decade of work in the north. Following a polar bear and walrus as they grow up in a warming arctic, Arctic Tale is a drama that puts a face on global climate change for thousands of families around the world. 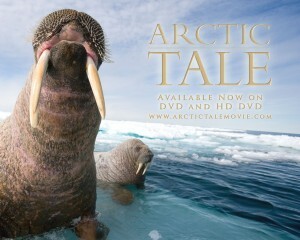 Arctic Tale is out on Blu-Ray & DVD. Continuing with his Arctic work, Adam collaborated with Imax producers MacGillivray Freeman Films to direct the principal photography of the Canadian sequences for the large screen Arctic Imax film, To the Arctic– 3D. Set for release in 2012, Adam found himself filming and swimming side by side with polar bears, diving under the ice with a prehistoric Ice-sharks, immersed in the belly of a massive herd of walruses – 2000 lb creatures armed with saber-tooth, dagger-like tusks, and sharing Voice Over with Meryl Streep. 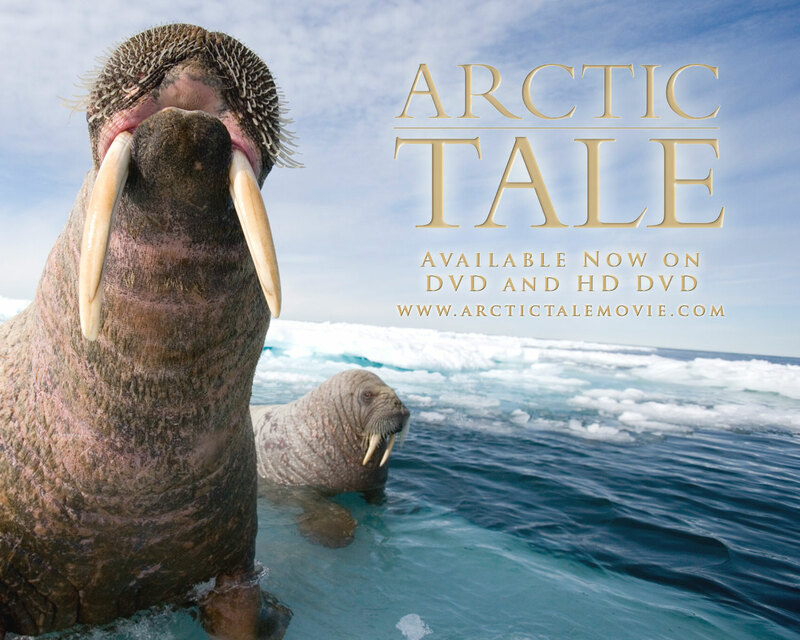 In the spring of 2009, a rare cinematic document of a polar bear attacking a herd of walrus, captured by Adam Ravetch, premiered in the Disney Nature Film, Earth, narrated by James Earl Jones. 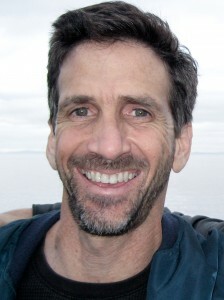 Since 1996, Adam and his company Arctic Bear Productions have produced six award-winning TV films about the Arctic for National Geographic Television and PBS. Toothwalkers produced for PBS, Tooth Titans for National Geographic TV, and the Emmy award winning series, The Living Eden’s: Arctic Oasis. 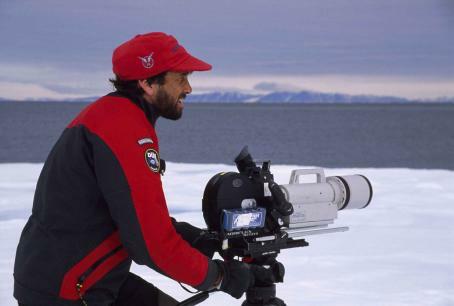 Adam garnished an Emmy Award for his National Geographic film, Ultimate Explorer: On Thin Ice and an Emmy nomination for his film Battle of the Arctic Giants. All these films have revealed, never before seen, intimate details of animal lives. Adam’s films showcase bold, one-of-a-kind imagery, both underwater and on the surface known for their intimate and emotional story telling. 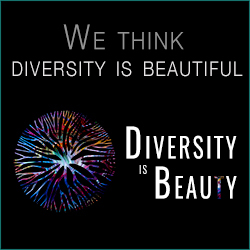 Adam’s interest is to tell amazing and important narratives about the natural world, inspiring discussion about social, and cultural issues that affect our world. Adam continues to contribute to the major natural history series of his time. Most recently, the airing of BBC’s Frozen Planet Series, and before that, National Geographic’s The Great Migration series, where they also showcased Adam as a front man in a Honda commercial to promote the series that garnished an Emmy for cinematography. 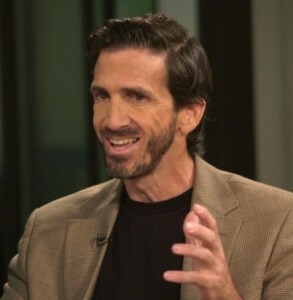 As well, Adam has contributed to their upcoming Wild Americas series to air in 2012. Sponsored by Rolex Watches since 1995, Adam has been the front man for two Rolex advertisements with emphasis on oceans & exploration. In 2012, Adam will be the front man again for a Rolex Commercial to promote his Arctic work, and a worldwide scholarship created by The Our World Underwater Scholarship Society. As an alumnus of the scholarship, Adam was asked by its sponsors Rolex, National Geographic and Fox TV to be the spokesman for the Ad. Ravetch likens filming in the north to guerrilla warfare. “You have to be ready for anything, change plans on a dime, willing to live on the land for months at a time, sometimes totally alone and be willing to eat just about anything.” It’s been an unusual evolution for Ravetch, considering his origins as a California surfer and diver. With a view at helping to preserve the Arctic, Ravetch founded The Arctic Exploration Fund, an organization that seeks to discover and film the responses of Arctic wildlife reacting to the rapid environmental changes taking place in the North. This effort led The Explorers Club and Rolex Watches to award Adam The Lowell Thomas Award that honors men and women who have distinguished themselves in the field of exploration.